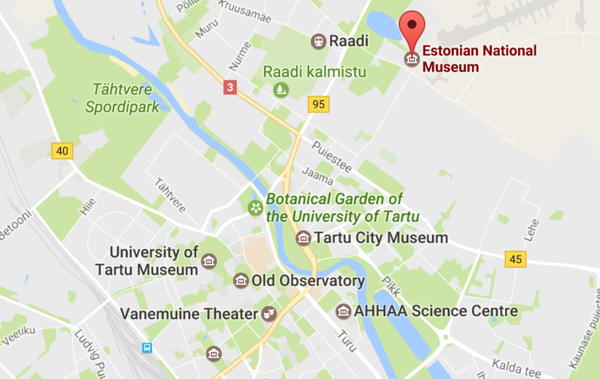 The conference will be held in Estonian National Museum (Muuseumi tee 2, Tartu) on 1st of June 2017. Everyone can visit the museum that houses Estonian history, tradition, new aims and engaging dreams, but you will have an exclusive chance to see the backstage - how was the biggest museum in Estonia built during the 10 year process and how is the building with 6000 square meters of exhibition space operated and maintained today. There are two parking areas at the Estonian National Museum which are free for visitors. There is also a taxi stop located in the front of the main entrance. You can also use public transport, taxi or come on foot (the venue is arount 2,5km from the city centre). or download the taxi application Taxify for iOS or Android. At the venue look for Entrance B or ask to be directed to the Theatre Hall. You can also reach Tartu through Tallinn and Riga. Tallinn International Airport is located just outside the city centre, on the road to Tartu. From Tallinn Airport you can take a Lux Express bus to Tartu (departs from the city center and also from the airport at least once in every hour, the journey time is 2,5 hours). It would be better to buy a ticket in advance from the previous web page. 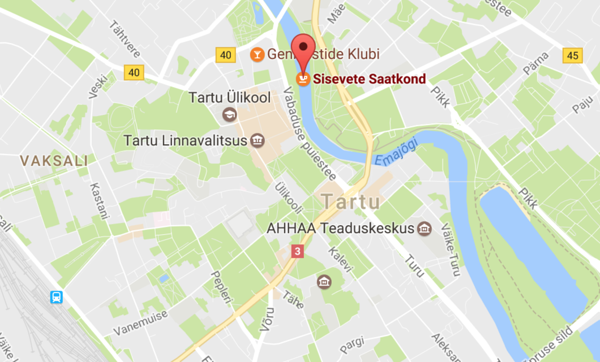 You may also take an Elron train from Tallinn to Tartu (departs also from near the airport, journey time for the express trains is 2 hours). Also, buying tickets in advance from the web page is highly recommended. Riga International Airport is connected with Tartu trough Lux Express buses. 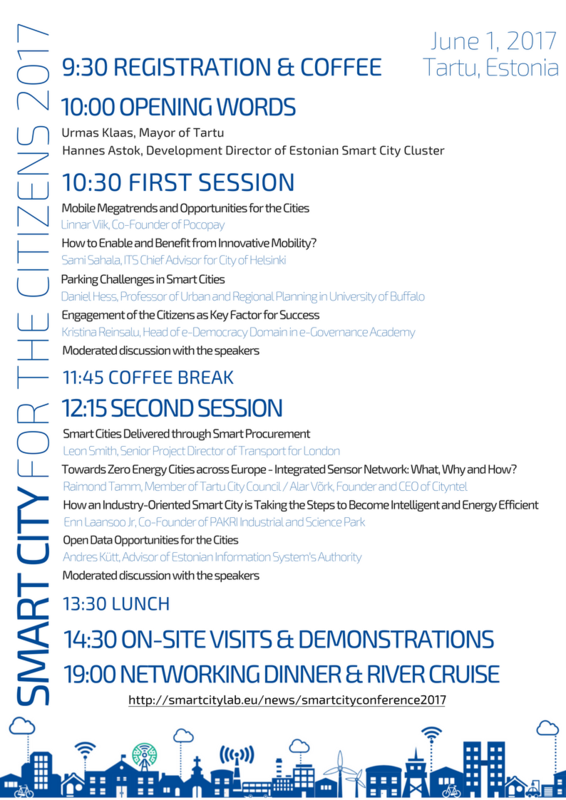 If you have any questions concerning the program, transport, accommodation or anything else, please get in touch: gerttu@smartcitylab.eu.